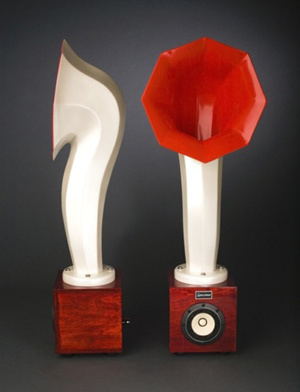 While antique in shape, the Little Horn speakers by Chicago-based Specimen Products deliver state-of-the-art sound. 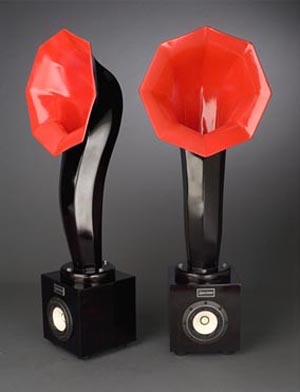 A clear nod to early 20th century phonographs, the design is more than aesthetically pleasing. The octagonal contour permits sound waves to expand more freely and cuts resonance, giving music the fullness of a live performance. 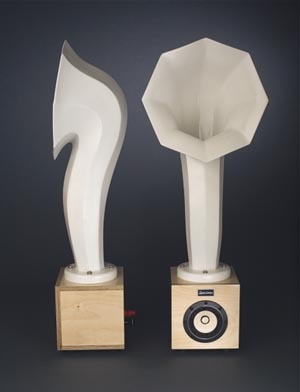 Placed on the floor, the speakers have both a sculptural quality and target optimal listening height. 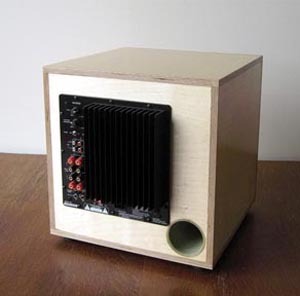 Despite their wood and fiberglass construction, the 36-inch tall speakers are actually suitable for low-power inputs. We recently put them to the test with an iPhone, playing jazz, folk, and acoustic music. 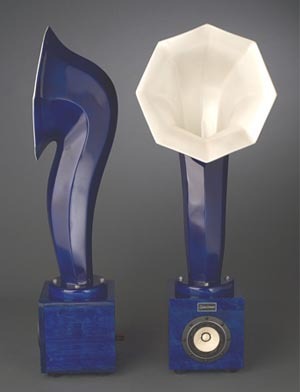 The speakers lived up to their claim, emitting surprising depth and presence. With the optional 300-watt, 14-inch sub-woofer, they easily handled the rattling bass frequencies of hip-hop, dance and electronic. 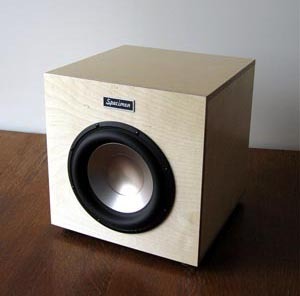 The speakers are designed for serious listening, and perform best when the volume is turned up. The middle-high ranges of cymbals sounded a little soft on occasion, but could probably be tweaked with an equalizer.